These versatile task cards can be used as a center or whole group activity. 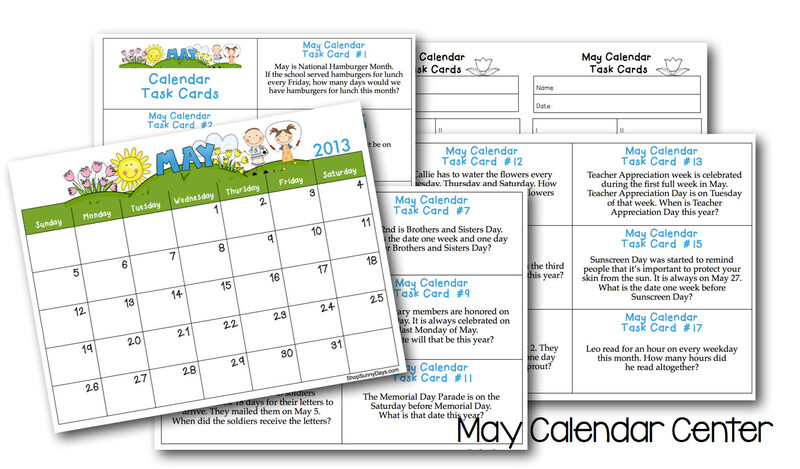 As a center, provide one copy of the blank calendar and task cards for students to answer. As a whole group, you can either project the blank calendar or use your own wall calendar. Use the questions as part of your calendar routine or put them on a ring and keep them next to your calendar for those few extra minutes you need to fill or as an early finisher activity.